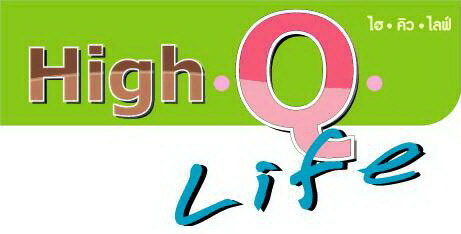 On- air Sunday, 26 November 2006 on Modern 9 TV. And it wasn’t vodka glasses! At a ‘thank-you’ party held at the Welcome Jomtien Hotel, a group of Swedish tourists toasted local ophthalmologist Dr. Somchai T.shokesatian, the senior eye surgeon at the Bangkok Pattaya Hospital. Many of the happy Swedes were couples who were seeing each other plainly for the first time in years. However, all still seemed happy with their choice of spouses! We can see! Some very happy Swedish tourists toast local ophthalmologist Dr. Somchai T.shokesatian (front, center), the senior eye surgeon at the Bangkok Pattaya Hospital. For the 23 health tourists, they were seeing the world in a new light, having gone through the ‘SuperSight’ surgery procedure, by which the failing lenses in their eyes were replaced by soft intra-ocular lenses that can be made to focus for reading as well as being able to see distances, just as in natural (younger) vision. Dr. Somchai is the world leader in this breakthrough surgery, which allows older people to throw away their glasses and have ‘normal’ vision once more. With a ‘success’ rate of around 95 percent, demand for the procedure is outstripping the time Dr. Somchai has available for the operations. The sheer demands on his talents have been so onerous that he is now down to 44 kg! The ‘SuperSight’ procedure also involves re-training the brain to facilitate the close focusing capabilities of the new lens, as well as the introduction into the chamber of the eye. While Dr. Somchai does point out that not everyone is suitable for the SuperSight operation, for those who are and are over 50 years of age, this can be an important turning back of the clock, visually. 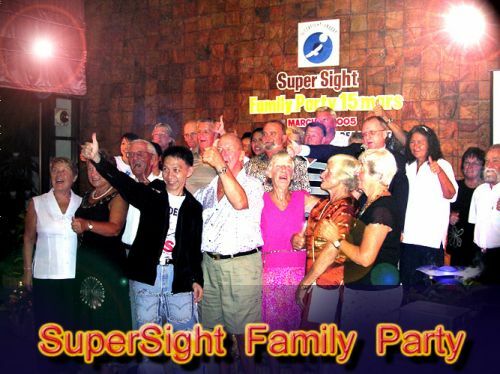 SuperSight Surgery – the new breakthrough? Are you over 50 and using spectacles to read this article? Do you hate your reading glasses? If so, keep them on and keep reading, help may be at hand! Unfortunately, the need for reading glasses is a natural progression of aging. The first signs are the fact that you have to hold this magazine further away to be able to read it, and you also find that you need a good light to be able to see the words clearly. Eventually you run out of arms, and you succumb and buy reading glasses. This means that you have become a slave to your spectacles. Like the Amex card, at your own risk, never leave home without them! Eventually you keep one pair at home, another in the car and another in the office. And your nose gets funny indentations either side of the bridge, where the spectacles settle. It is important that you understand just why this happens. As you get older, all the ‘elastic’ tissues in your body become less pliable. Knees, lower back, fingers, neck, the list is endless. However, you have to add to that list, the lens in your eye. The fiddly little lens, supplied at birth as a standard feature, does not have a fixed focus, but under your control you can make it focus close up (to read) and then also focus at a distance, such as when you are following your golf ball as it slices into the water hazard. The way you do this is by ‘bending’ the lens to be able to focus on near objects. Unfortunately, as the lens becomes less pliable, the muscles in your eye become unable to bend the stiffening lens enough to produce the near point focus. The near point moves further away, until you have run out of arms, as described previously. We medico’s call this condition ‘Presbyopia’. Unfortunately there is yet another result of aging that occurs in the lens of the eye. This is a gradual cloudiness which lowers the visual acuity, slowly lowers your ability to see colours, and eventually brings on blindness. So not only can you not see well enough to read the magazines, but you also begin to lose your distance vision. Welcome to the wonderful world of white sticks and woofing Labrador dogs. If you think this is an exaggeration, currently between 12 and 15 million people are estimated to be blind from cataracts, according to the World Health Organization, and by the year 2020, this will be 54 million people. The initial method of treating this was by removal of the now optically inefficient natural lens, and attempting to return some usable vision through the introduction of very thick and heavy spectacles placed before the eye. These glasses looked as if the lenses were made from the bottom of Coca-Cola bottles (registered trade mark and all), and were just as heavy. The patient could see again, but reading required even thicker lenses, or hand-held magnifying glasses. Not all that comfortable, but beat the alternative. However, in 1949, a Dr. Harold Ridley noticed that pieces of shattered Perspex after a penetrating eye injury in aircraft crashes did not produce a reaction within the eye. This was the first step towards production of the Intra-Ocular lenses (now referred to as IOL’s as we medico’s love acronyms). It became possible for us to replace the cloudy hard lens with a clear lens. This too was a hard lens, but optically clear. The patients could see again, but did need reading glasses, as the lens had a fixed focus. One of the leaders in this field is the German Akkommodative 1CU lens which represents the latest development in artificial lenses and can provide patients with a better quality of life. This is a lens which is designed to change shape, providing similar functions to a natural healthy lens. These IOL’s meet all the European requirements for implantable medical devices. We also have Dr. Somchai Trakoolshokesatian who practices at the Bangkok Pattaya Hospital, who is one of the world leaders in inserting these new lenses. His figures after two years of using these IOL’s show a patient satisfaction level after surgery of 94 percent. In addition, 95 percent said they would have the surgery again if it were necessary. 94 percent no longer needed reading glasses, and 97 percent did not need glasses for distance vision. In medicine, we can never give 100 percent guarantees, but 94 percent represents not bad odds, in anyone’s language. The results have been so outstanding, that medical ‘tours’ are coming to this country to have this operation. Word of mouth and 94 percent satisfaction rates, have been bringing people to Thailand for the operation that can return their sight to what it was when they were 20 years old. SuperSight Surgery works best in what are technically known as hyeropic presbyopes, meaning those individuals who are farsighted and have lost the optimal close up focusing ability of their eye’s natural lens. Presbyopes typically wear glasses for close-up work or reading, however because each individual’s situation is different, a consultation with Dr. Somchai is the only way to definitely determine if you are a good candidate for the procedure. So what does it cost? The current fees for the procedure are USD 4,500 or 3,600 Euro, which include surgery fees, the special lenses, implantation for both eyes and medicines on the day of surgery and one night stay in hospital. Dr. Somchai can be contacted through his website www.doctorsomchai.com. The new director of the Bangkok-Pattaya Hospital, Assistant Professor Somchai Pattana-Anek, presented the very latest technology that has recently been installed at his award-winning hospital, to the local and Bangkok media. With the recent expansion to the hospital, and more building taking place to open further extensions in 2006, the hospital was keen to show that it is one of the foremost hospitals in Thailand and at the cutting edge of technology. The new director of the Bangkok-Pattaya Hospital, Assistant Professor Somchai Pattana-Anek, presented the very latest technology at his award-winning hospital. However, there was one outstanding unit which was shown to the press gallery, and that was the Eye Center, now dubbed the ‘SuperSight Center’. 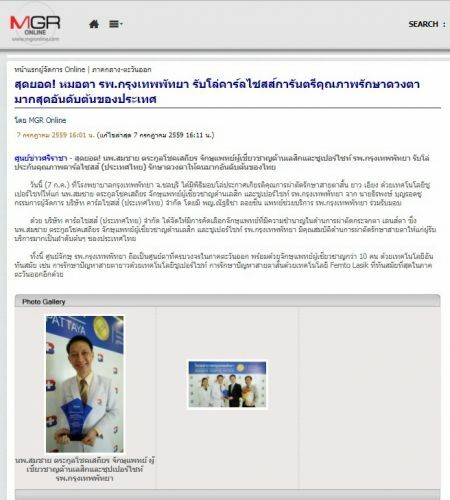 Eminent ophthalmologist Dr. Somchai T.shokesatian has developed a new surgical technique (SuperSight) to be able to use the newest pliable intra-ocular lens developed in Europe. The end result of his research and surgical skill is the patient being able to totally dispense with glasses, both reading and long or short sight correction. 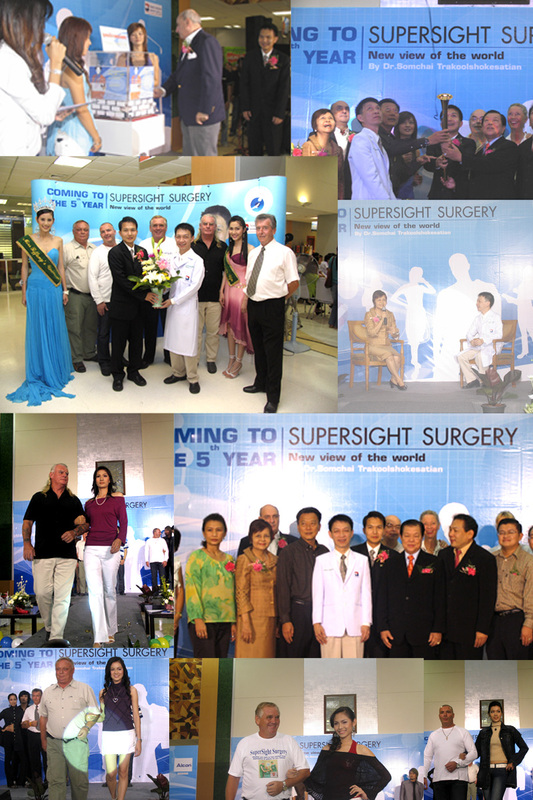 This has been such a successful break-through that Dr. Somchai has been awarded a certificate of excellence from Germany, but his work-load at the SuperSight Center has been so high, with demands from overseas for this radical new vision breakthrough, that he has lost 4 kg in weight in the past few months!